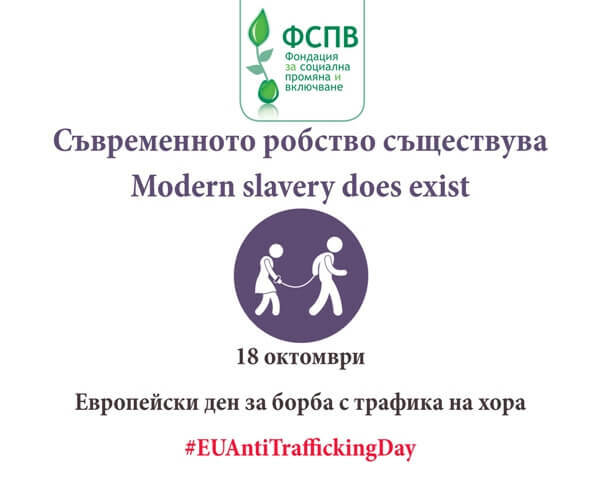 18 October is European Anti-Trafficking Day – a day to raise awareness about the issue of human trafficking and ways how to fight it. Sadly, thousands of vulnerable children and young people throughout Southeast Europe fall prey to human traffickers every year, who exploit them through forced prostitution or labour. What chance in life would you have if the family that is meant to protect you is the one trying to exploit you? Thankfully, this real story of Valya* has a happy ending. But only thanks to FSCI’s House of Opportunity Programme that Valya had joined in Bulgaria to learn all the skills necessary for independent living, and thanks to the dedication and compassion of the staff team who helped prevent Valya from becoming another victim of human trafficking. Will she ever be completely free of the risk of being exploited? We don’t know, but we will do everything in our power to give her the support she needs to make wise choices. For now, we are delighted that Valya is doing well. She is working full time for a local business and living in a room of her own. FSCI is actively working to PREVENT vulnerable people from becoming victims of trafficking by providing opportunities for dignified living and development of young underpriviliged individuals leaving state care. Will you join us in preventing trafficking in Southeast Europe? Modern slavery is real. Be part of the solution by making a donation now. Would you share this article to raise awareness about the dangers of human trafficking? Thank you. The school year has started!